With many of us heading to the beach or the mountains this month, or perhaps just hanging out in a hammock under a shade tree in our back yard, we asked some alumni writers to share some good summer reads that you won’t be able to put down. 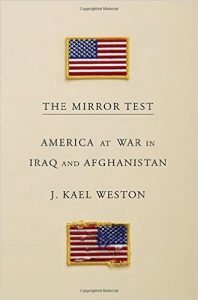 It’s hard and strange to think through how the 15 years since 9/11 have unfolded, but J. Kael Weston’s new book “The Mirror Test” serves as an excellent chronicle of that time. A former State Department diplomat (and a decorated one at that), Weston spent more time on the ground in Iraq and Afghanistan than any soldier or Marine I know of. The anecdotes from those experiences are hard-earned and revealing, but it’s Weston’s crisp writing and unabashed reckoning that’ll linger with readers. An important book, yes, but also a vital one if we as a country and society are ever to come to terms with the practical consequences of our foreign policy. I’m writing my next book on espionage during the Civil War, so I have stacks of volumes on the subject that I’m plowing through for my research. I found particularly interesting William Marvel’s “Lincoln’s Autocrat: The Life of Edwin Stanton,” published last year by the University of North Carolina Press. Writing like an investigative reporter, Marvel shines a harsh spotlight on Stanton, a complicated man, who was ruthlessly effective as Lincoln’s war secretary and who managed his own spies during the war. A former correspondent for Time and Newsweek, Douglas Waller’s latest book, “Disciples: The World War II Missions of the CIA Directors Who Fought for Wild Bill Donovan,” was published by Simon & Schuster last October. 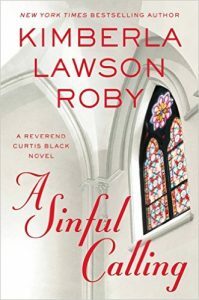 New York Times bestselling author Kimberla Lawson Roby will have readers anxiously flipping the pages of her tantalizing new release, “A Sinful Calling.” Filled with secrets, betrayal and juicy plot twists, her well-developed characters will stay with you long after the story ends. Trice Hickman is the author of eight novels including “Unexpected Interruptions” and “Deadly Satisfaction,” released in January. I’m excited for the release of A.J. 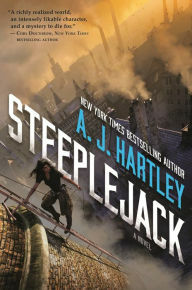 Hartley’s new book, “Steeplejack,” June 14. His YA debut, set in a 19th-century South African fantasy world, imagines the life of 17-year-old Anglet Sutonga as she repairs the chimneys, towers and spires of the city of Bar-Selehm. Ang’s life takes a turn when she finds her new apprentice, Berritt, dead the same night the Beacon, an invaluable historical icon, is stolen. Josiah Willinghouse, an enigmatic young politician and the only person who seems to care about Berrit’s murder, offers her a job investigating his death, which plunges her headlong into danger. Ang must rely on her intellect and strength to resolve the mysterious link between Berritt and the missing Beacon before the city descends into chaos. This one looks to be a page-turner. Unlike my usual reading habit, where I dive into one story and lose myself entirely, I am currently reading three different books simultaneously. 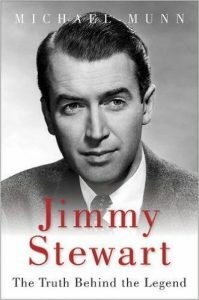 First is Michael Munn’s remarkable biography of Jimmy Stewart, “The Truth Behind the Legend.” I actually thought I would hate it, the actor seemed so one dimensional both in terms of his roles and his politics… Wrong. A great story, wonderfully written and an excellent portrayal of the times as well as the man. 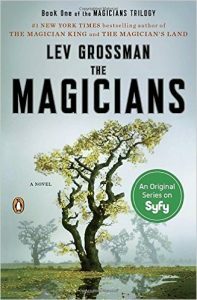 Second, Lev Grossman’s “The Magicians.” There has been a great deal of controversy over the SyFy channel’s rendition of this trilogy, all of which reached the top of the New York Times bestseller chart. Third, Nevil Shute’s amazing classic, “A Town Like Alice.” The man has a unique gift of taking the wreckage of WWII and turning it into a lyrical thing of beauty. He reminds me of Somerset Maughan in his way of portraying the impossible in gentle, impeccable style. 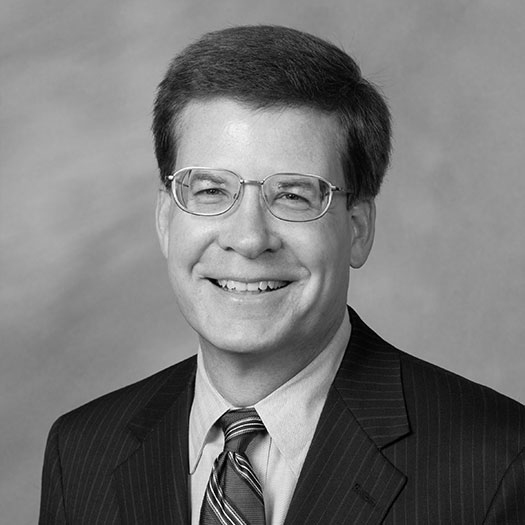 Davis Bunn writes historical fiction and legal thrillers and has written a number of bestsellers including “The Great Divide,” “Winner Take All” and “The Meeting Place.” With more than 7 million books sold, he is thought to be the most published alumni author in Wake Forest history. It’s hard to believe that it has been almost 40 years since Ted Kaczynski sent his first bomb. It was Ted’s brother David and his wife Linda who finally brought an end to Ted’s 17 bombs that killed three people and injured many more. Convinced that Ted was the Unabomber, and realizing that he alone could possibly save lives, David turned his brother into the FBI –– then they betrayed him. 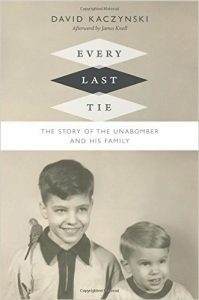 “Every Last Tie: The Story of the Unabomber and His Family” by David Kaczynski explains some of what may have caused David’s brilliant brother to eventually become the Unabomber. It is an intimate memoir of an American family well written. 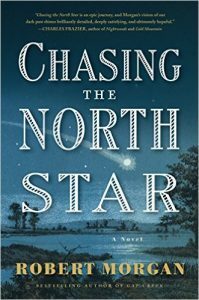 And two others: “Chasing the North Star” by Robert Morgan tells the story of Jonah Williams, a slave, who on his 18th birthday in 1850 flees the South Carolina plantation where he was born. “A Shadow All of Light” by Fred Chappell is described as “a stylish episodic fantasy novel … of con men, monsters, ingenious detection, cats and pirates.” It will intrigue his devoted fans and amaze those not familiar with this great writer. Hensley has donated his extensive collection of some 10,000 books by contemporary North Carolina authors, along with 50,000 chapbooks, newspaper and magazine articles and photographs, to the Z. Smith Reynolds Library.